A wide selection of fasteners to create various glass structures. To mount glass structure we use reliable fittings of Lithuanian and foreign manufacturers. For our clients we offer wide range of fasteners in various colors and shapes, so even the most fastidious clients will find glass fittings suitable for the selected design or home interior. We offer fittingis in stainless steel, anodized aluminum, chrome, brass and other colors. Our partners such as Megla, Hawa, OXIDAL, Stremler and others – companies famous worldwide for the quality of production.. In order to meet the needs of all customers, we are constantly looking for new partners, who could provide unique and high-quality products at an attractive price. In Our range of products - aluminum profiles, sliding systems, and various fittings for frameless glass partitions. Original interior design solutions and functional space planning by creating cozy and modern spaces can be accomplished with widely racognized OXIDAL and Hawa sliding systems. 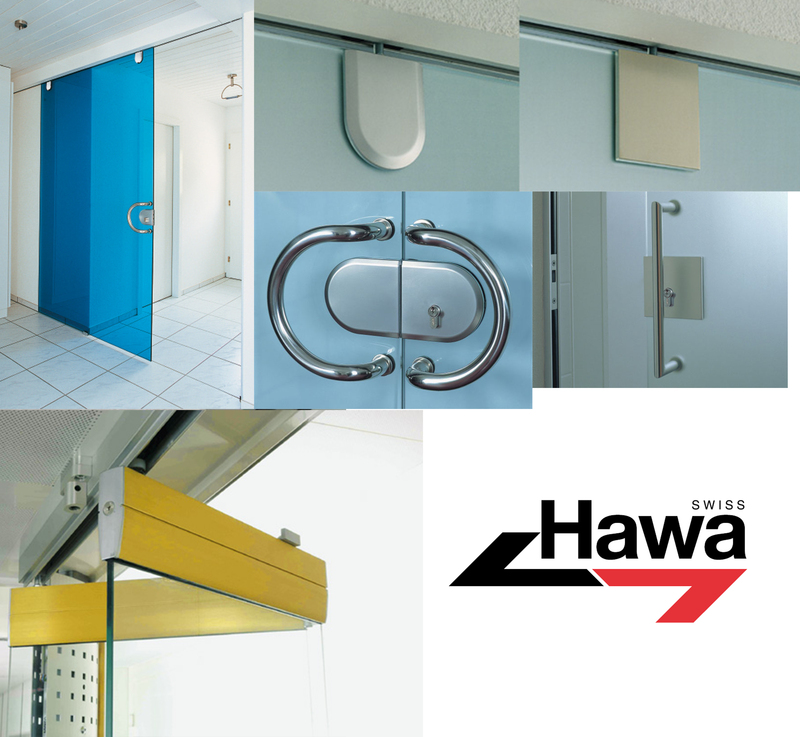 We also offer a wide range of stationary, swing partition fittings (hinges, handles, door springs, stainless steel fittings). 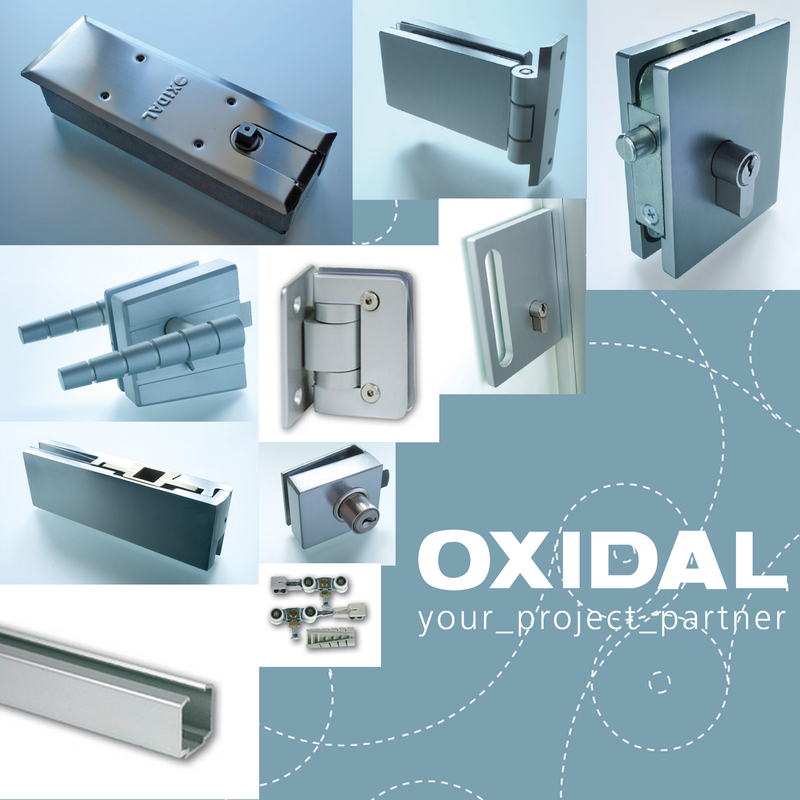 Security of premises can be guaranteed by OXIDAL and Stremler locks. Installing a bathroom all details are important, and shower becomes interior accent. We can offer both standard and exclusive designs of shower fittings, that will let to install desired shower constructions properly. 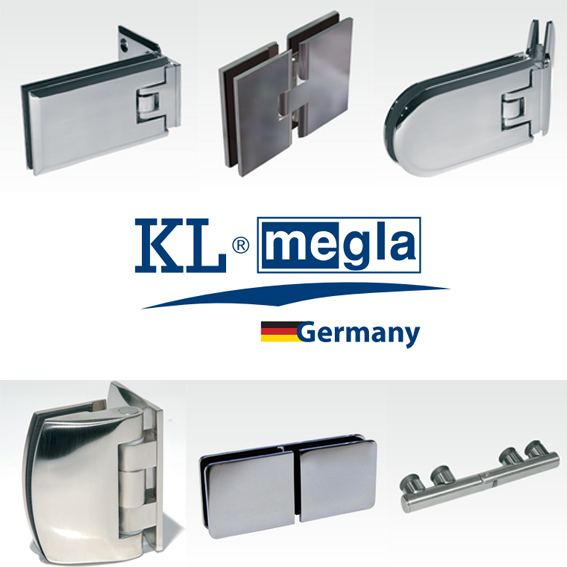 Seals produced by KL Megla well protect from water leaks and as well as sliding door systems, hinges, fasteners, and other accessories are designed for long term reliability. It is not difficult to construct desired glass furniture when an appropriate fittings are used. Here you can find various brackets, shelf holders, hinges and locks suitable for glass cabinets construction, chromed metal legs for glass tables, stainless steel fasteners. OXIDAL sliding door system for furniture is perfect for the modern interior surroundings. Free your imagination! With our proposed fastening solutions, the glass can be applied in different situations. Whether it is a glass roof, railing, fence or wall mirror - all ideas have appropriate solutions. In our product range you will find a variety of stainless steel fasteners, adhesives and tapes for glass and mirrors mounting. Please find the catalog of fittings.